It's not certain that Benjamin Franklin was actually the first person to say that. However, what's certain is that Noko's invoicing makes it super easy to calculate any taxes (including negative ones, as required in some countries) that you might need to add to your invoice. Click on + add tax just above the totals calculations. Fill in a tax rate (in percent) and a description for the tax. Noko automatically calculates taxes and totals while you type. 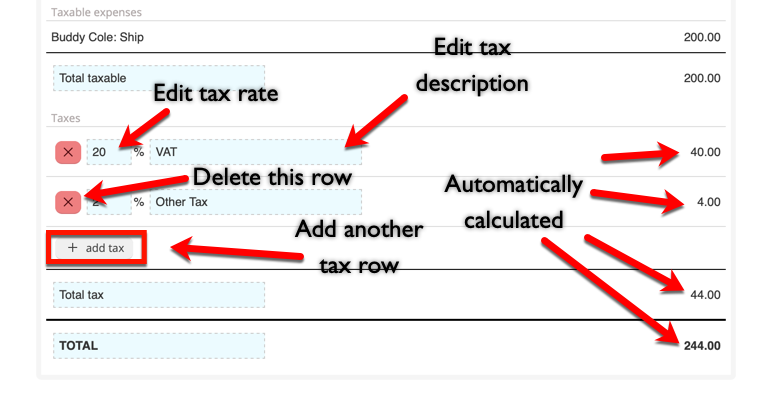 Click the red X button next to the tax you want to remove.